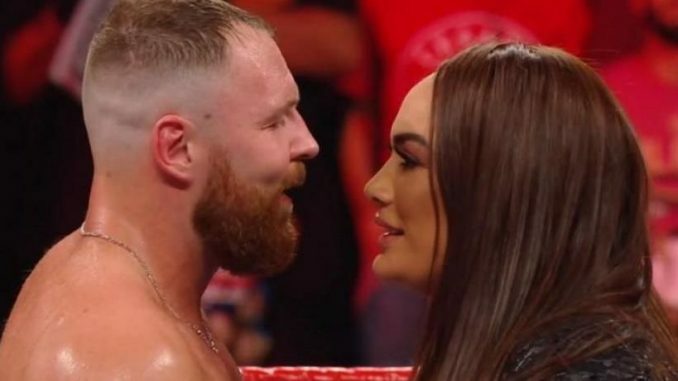 Over the weekend, an ad circulated online promoting an intergender match between Dean Ambrose and Nia Jax for an upcoming WWE live event. One person in the WWE reached out to us Friday stating that the ad was outdated, and the match would not be happening. In seeking confirmation, a WWE official informed POST Wrestling that the ad is incorrect. The commercial promoted the match for the Friday, February 22nd event in Jonesboro, Arkansas as an “Intergender Special Attraction”.